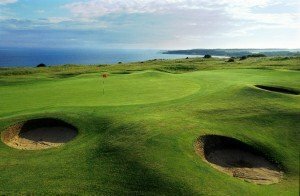 Gullane, East of Edinburgh, is the home of one of the most famous golf courses in the world, Muirfield Open Championship Links. 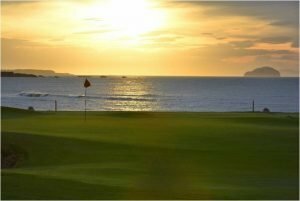 The whole area is awash with top quality golf courses and the links courses at Gullane and North Berwick are very popular with visiting golfers. The courses are all in a pocket of land on the east coast with travelling between them extremely easy. A highly recomended area to visit. 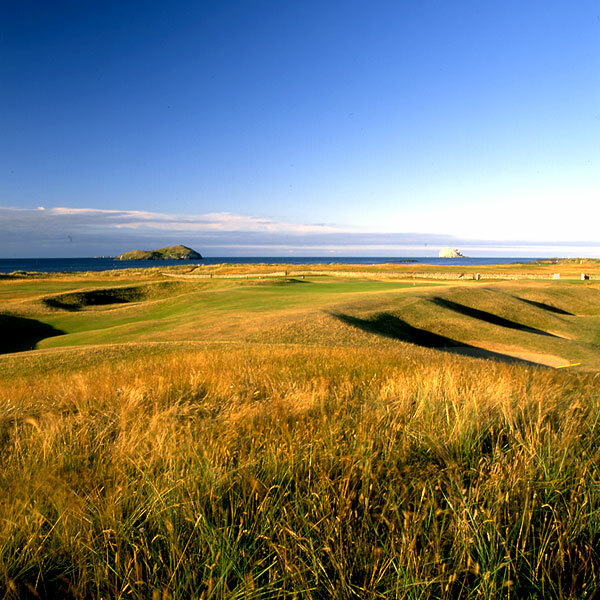 North Berwick Golf Club is steeped in tradition, dating from 1832. 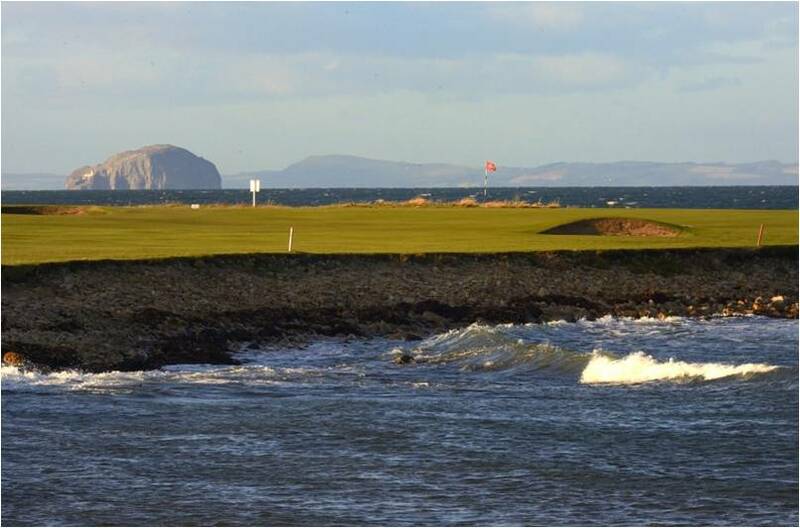 One of the oldest and most scenic links courses in Scotland with views over the Isle of May, the islands of Fidra and Craigleith, the Bass Rock and across the Forth to the hills of Fife. An Open Championship Final Qualifying course when the Open is held at Muirfield. The most famous and copied hole is the Par 3 15th, Redan. Played over a bunkered ridge to a sloping plateau green and guarded by a huge bunker. The 14th, Perfection, is known for two blind shots. The 13th, Pit, is characterised by a drystone wall running along the front of the green. Every hole on the course is interesting, even the first, probably the dullest, is better than the best elsewhere. This beautifully maintained championship links golf course provides conditions that enable the ball to be played as it lies all year round. The putting greens are as good in January as they are in July. 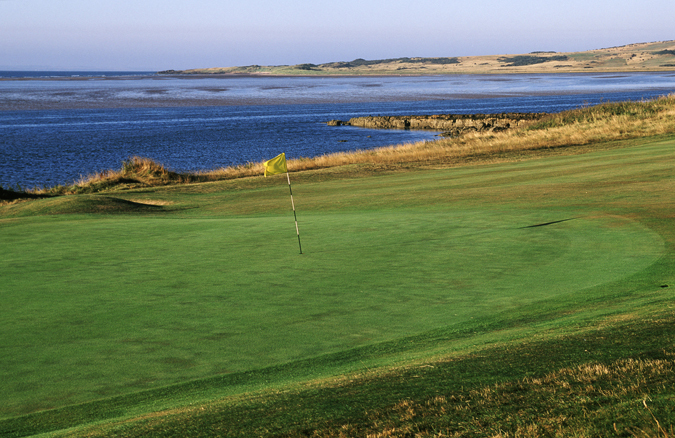 Golf has been played on Gullane Links for over 300 years. 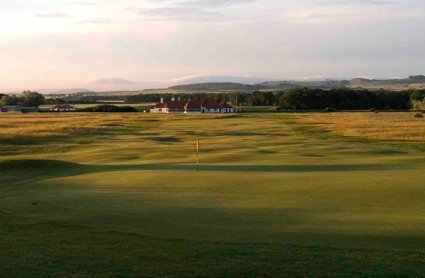 Gullane Golf Club was constituted in 1882. The Course is used as a Final Qualifier when the Open Championship is played at Muirfield and has hosted many other international Championships. Added to the quality of the golf is the majestic scenery providing a circle of distant prominences. Add the panorama to the abundant wildlife found on the “Hill” and where else in the World can compare! 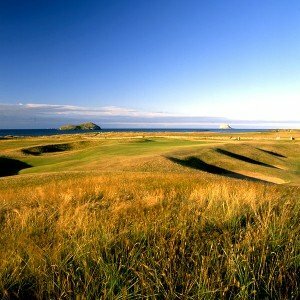 The favourite of many “locals” and one of the best links courses in East Lothian. The condition of the Course is equal to that of No1 Course. 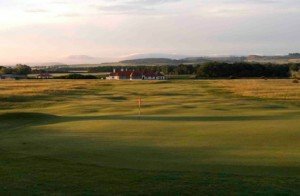 It sweeps down Gullane Hill towards the nature reserve next to Aberlady Bay and even with plenty length it is the excellent short holes, which feature – particularly the 11th with its magnificent view and tricky club selection. 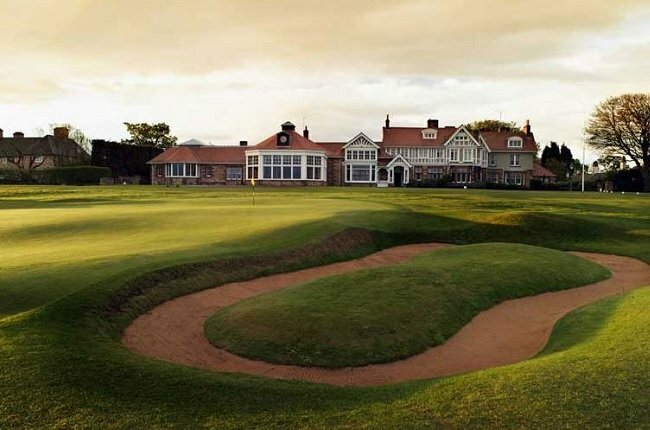 Built in 1898 it hosted a Final Qualifier for the Open Championship in 1980 and in 2002 the Seniors Open Amateur Championship was played over the links. Welcome to the 35th oldest club! 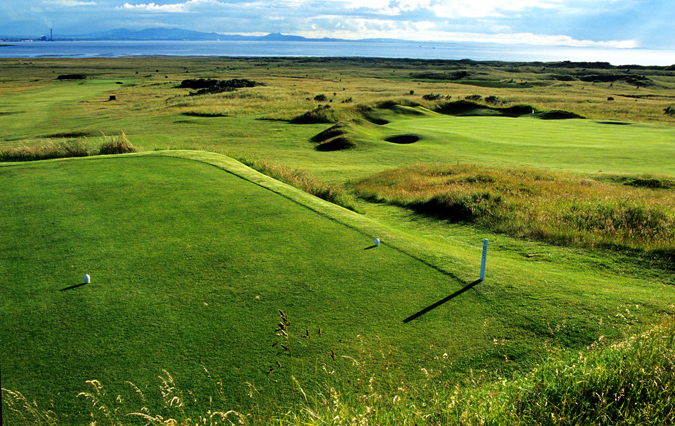 Golfers are enchanted by these truely traditional Scottish links. 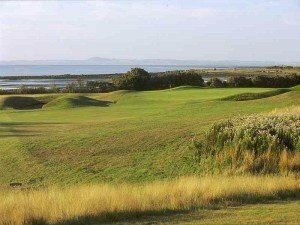 Bordering Aberlady Bay nature reserve and overlooking the Firth of Forth, suberb panoramic views are to be enjoyed. A relatively short, tight, yet pleasantly challenging course, making it ideal for a full day’s outing or a relaxing round. 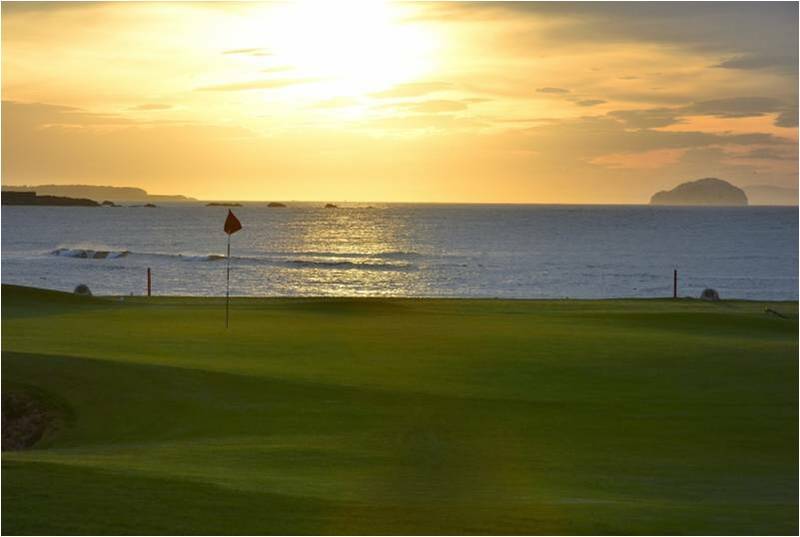 There are several noteworthy holes – especially in a southwesterly wind – with the 2nd, 3rd and 4th all playing into the wind, whilst the par 3 8th across a sandy cove is another fine challenge for all to enjoy. 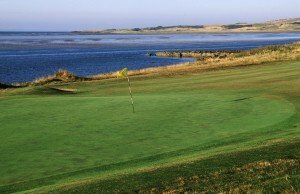 This mixed parkland and links course presents itself in two distinct halves; the front being tighter and more closed than the second half, which is open and prey to the many winds that patrol this estuary. The course is not too long by modern standards, but is designed to reward the strategic player. 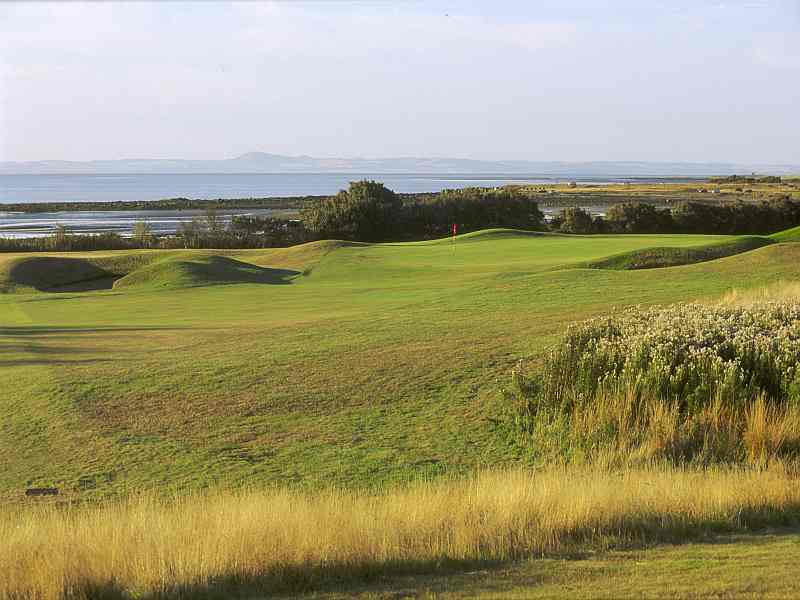 There are many good holes at Longniddry, that are a testament to both golf and natural beauty. The fairways are quite generous and the greens are fairly large, but the penalty for straying off-line can be severe, with mature Scot Pines, gorse, sea-buckthorn and punitive rough only too eager to punish the wayward shot. The unusual ‘2 halves layout’ of Links and Parkland together with the undoubted quality of the golf course, makes this a highly recommended course to play. Qualifying course for The Open Championship. Luffness New is a championship links course adjacent to Gullane and Muirfield, famous for its true greens and rolling links terrain. Designed by Tom Morris and upgraded by James Baird (1924), it is described as a “new” course, although it was opened in 1893 and incorporates the original nine holes of Luffness Old Course founded in 1867. 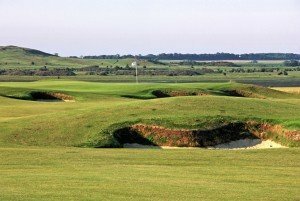 This is one of East Lothian’s newest courses and it meets the challenging standards of its neighbours. 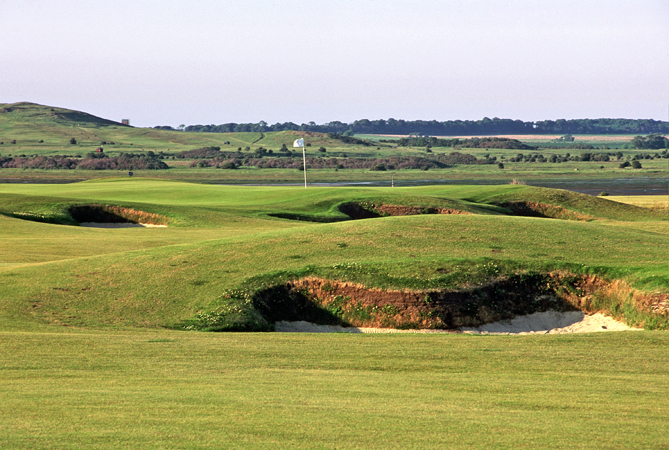 A Championship links course designed by Donald Steel. 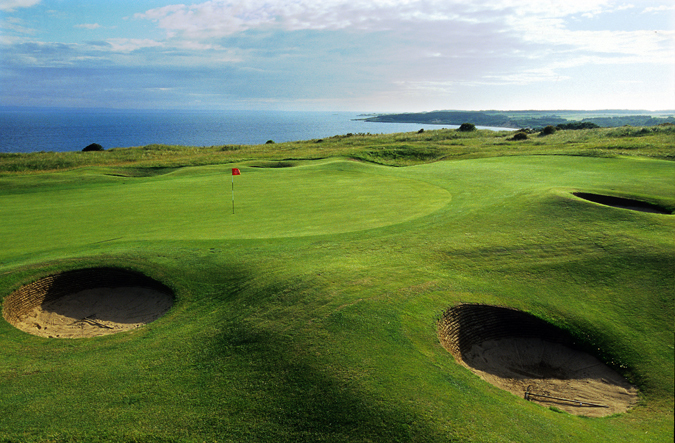 Maintained in a similar fashion to traditional Scottish links courses such as Gullane, Muirfield and North Berwick. 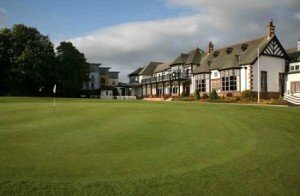 Craigielaw Golf Club is an experience not to be missed. The Royal Burgess Golfing Society of Edinburgh traces its origins back into the eighteenth century with the first publicly recorded explicit reference to its existence in 1735 appearing in the Edinburgh Almanac. The original course was set out in 1895 on the advice of Old Tom Morris of St Andrews and it remained largely unaltered until 1945 when James Braid was invited to advise on the layout. Former Open Champions Henry Cotton, Peter Thomson, Bobby Locke, Gary Player and Tony Jacklin have all played here at some stage.